And one pop offering, for kicks. 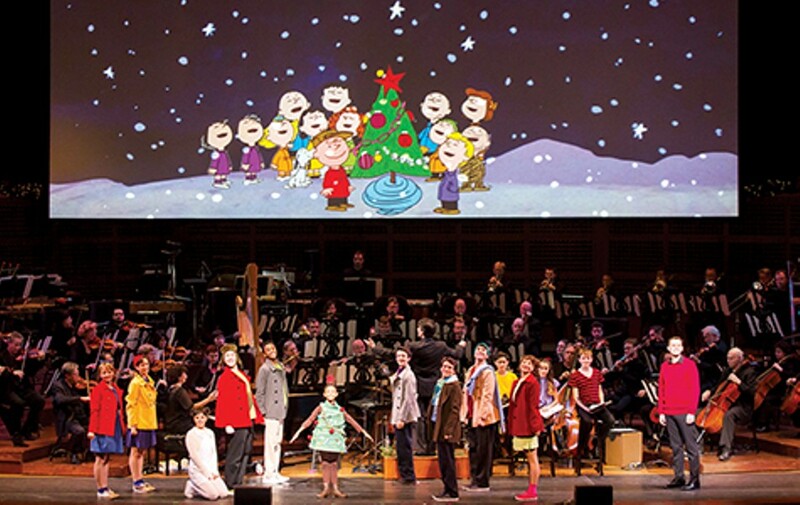 Oakland Symphony It's not the holidays without some Charlie Brown. All-women ensemble Kitka plays Oakland twice next month. With the exception of a shared meal, there's nothing more unifying than holiday music. Among the Bay Area's bountiful offerings, you can hear bells jingled, strings strummed, carols crooned, and rhythms rocked in any groove or genre. The array of local talent is so rich, most of the concerts on our holiday list feature artists who make their homes within thirty miles of your front door. But the music they perform arrives from every corner of the globe. Music, like cuisine, is a taproot that rises from a central core and fans into diversity that feeds every soul. Music reminds us that we are one body, composed of many glorious parts. The symphony gets busy early in December with a Classic Christmas that features special seasonal favorites capped with a selection of holiday tunes performed by Oakland's Pacific Boychoir. 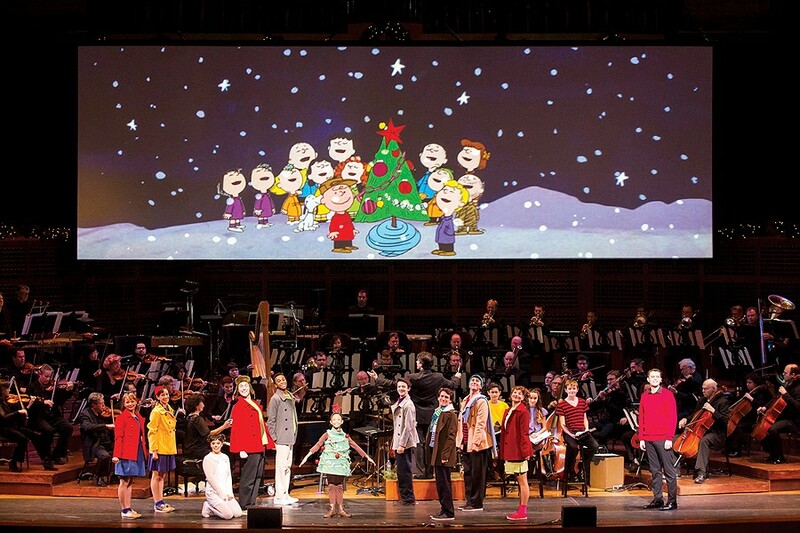 Right on that show's heels, there's a battery of performances: the symphony's Holiday Brass show; the one hundred voices of the San Francisco Symphony Chorus joining the symphony to perform Handel's Messiah; the short film, The Snowman, projected on an enormous screen while the symphony performs the film score live and on the same program, Christmas hits jazz-style with vocalist Ruthie Anne Miles, the Pacific Boychoir, and the symphony; and sure-to-please Vince Guaraldi tribute showcases, with music from the television classic, A Charlie Brown Christmas, and holiday songs with the S.F. Symphony and Chorus. Like the icing on a Gingerbread House, the symphony stands down and presents something to savor just two days before Christmas: Celebrating The Holydays with Sweet Honey on the Rock. December 7-23, SFSymphony.org. When Terrie Odabi throws a New Year's Eve Soul Party in Alameda, there's no better way to growl and groove into the New Year. Backed by a terrific four-piece band, the dynamic lady of the blues belts out an elixir of bliss. Odabi is full of blaze: don't miss the chance to rejoice and light your path into 2017. Two shows on Saturday, December 31, 7 p.m. and 10 p.m. 2513 Blanding Avenue, Alameda. $40/advance, $45/day of show (late show includes champagne toast). Rhythmix.org, 510-865-5060. The fiftieth anniversary of the Black Panthers in 2016 has the symphony's annual concert honoring the spirit of community, shared suffering, redemption, and exaltation with gospel and protest music from the 1960s and 70s and Motown classics. Led by music conductor Michael Morgan and chorus director Lynne Morrow, the massive undertaking features the orchestra joined by Oakland Symphony Chorus, Linda Tillery, Vocal Rush, Kugelplex, Mt. Eden High School Concert Choir, and Oakland Interfaith Gospel Choir. Expect mighty, wondrous musical magic under the Paramount's ornate ceiling. 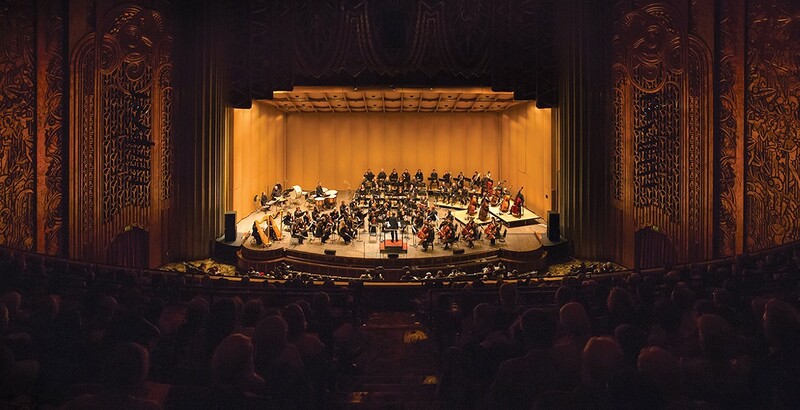 At the Paramount Theatre on Sunday, December 11, 4 p.m., $15-60, OaklandSymphony.org. Catch the fantastic fever of black gospel music and witness Terrance Kelly, the Bay Area's most exuberant artistic director, as he leads the choir in the 31st annual Holiday Concert at the Paramount. This choir sings with a fervor and commitment that is rare, if not unparalleled. If you miss this always-solid, one-night holiday show, there's a second chance on Christmas Eve to hear the ensemble across the Bay at Slim's in San Francisco, too. Saturday, December 3, at 7 p.m., $15-$45. 2025 Broadway, Oakland, ParamountTheatre.com. The lineup for this year's Jingle Ball has vocalists, DJs, and then some. Shawn Mendes, the Chainsmokers and Charlie Puth are among the top attractions at the radio station's annual concert. If you like a packed show with star power, this is it. Tickets are going fast: move on it pronto or mark your calendar for next year. December 11, $41-$111, Wild949.iheart.com/features/jingle-ball-2016-22. 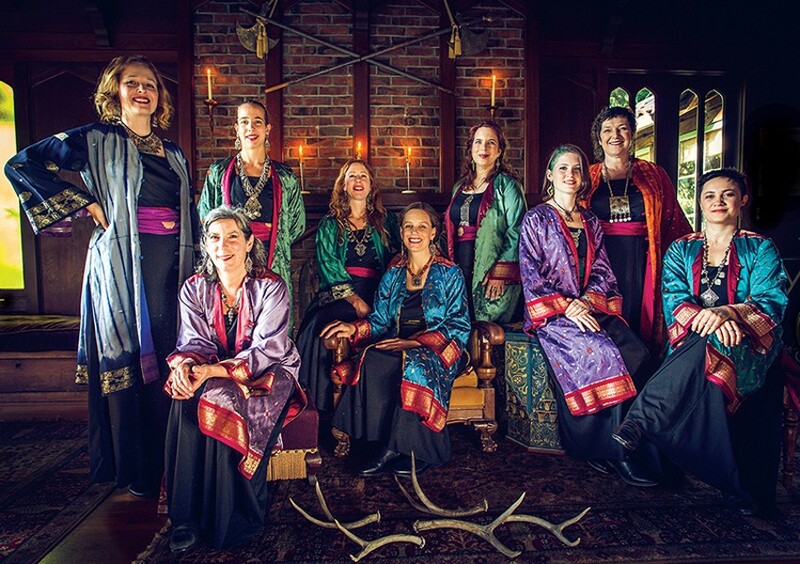 The all-women's vocal arts ensemble brings Eastern Europe to the Bay in carols and folk songs that draw their inspiration from traditional music of Bosnia, Ukraine, Russia, Bulgaria, and more. Meticulously researched in authentic language and form, Kitka has recently invited artists from other genres — techno, indie, folk, classical, world, hip-hop, jazz and more — to re-imagine tracks on their Wintersongs album. Their enthusiasm is contagious, which is a good thing, because a community singalong two days after the Wintersongs show is a crowd-sourced concert. Warm up with a fa-la-la, bring a donation, and join the choir. Friday, December 16, at 8 p.m. at St. Paul's Episcopal Church, 114 Montecito Ave, Oakland; $15 - $40. And Sunday, December 18, at 5 p.m., at Nile Hall, 668 13th St, Oakland; no cover, donation requested. 800-838-3006. If you've already heard Handel's Messiah this season but still can't get enough Baroque in your life, this is your opportunity to jump onto the battle field with the Biblical hero Joshua. The orchestra's period-specific instruments and exquisitely rendered, robust expression pitch victory against romance in a grand tale told by angels, warriors, and everyday human beings seeking triumph. With stellar guest artists in the lead, think of it as an 18th century Billboard 100 chart-topper. Saturday, December 3, 7 p.m., $27-108.